We understand that your pet has become a member of the family. Pet insurance can provide you with the peace of mind knowing that you are prepared to give them the health care they need. Pet insurance in Hawaii provides affordable and flexible plans to fit your pet’s needs and your budget. 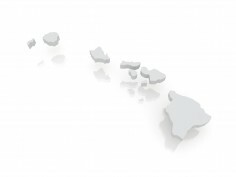 Our goal is to provide you with the area-specific health risks and concerns to dogs and cats in Hawaii. Understanding these health risks can help you make an informed decision about the right pet insurance plan for you and your pet. Fortunately, the common health conditions and parasites noted above are treatable or preventable with routine health care. However, the cost of prevention or treatment can be expensive. Pet insurance can help protect you and your pet from the increasing cost of health care associated with these conditions. It is very important that pet owners keep up to date records of all pet vaccinations in Hawaii, as it could affect your ability to travel with pets or to leave the state. Hawaii has strict health rules regarding pets entering and leaving the state. Hawaii is rabies-free and any dogs or cat leaving or coming into Hawaii need to have proof that they are up to date with vaccinations. Many of these common health problems among pets in Hawaii are treatable with timely and proper veterinary care. ◦ Due to rodent control issues on the islands, vets and pet medical centers see large amounts of dogs and cats who have been admitted after eating mouse and rat poison which has been left outside. Pets have a good chance of surviving these poisonings if they receive medical treatment within a few hours of ingesting the substance. ◦ Spiders, scorpions, centipedes and bees are found in high quantities in Hawaii and they all sting and bite pets. If bitten or stung your dog or cat can have a mild to severe reaction that could result in vomiting, swelling, difficulty breathing and fainting. ◦ There are high populations of Bufo Toads in Hawaii. Pets who don’t know better love to chase and bite at these toads, not knowing that they are highly poisonous to pets. If your dog has bitten a toad you need to wash his or her mouth out carefully and thoroughly, and see a vet immediately. ◦ Antifreeze is another pet hazard in Hawaii. It is commonly used to cool radiators and if left outside cats and dogs are attracted to its sweet taste. Unfortunately it is poisonous if ingested as it causes kidney failure. Pet insurance can help protect your dog or cat from accidents and illnesses like the conditions noted above and provide you with the peace of mind in knowing that you are prepared to provide them with the health care they need. Hawaii pet insurance plans are flexible, designed to meet you and your pet’s individual needs and will typically cover costs associated with accidents and illnesses.